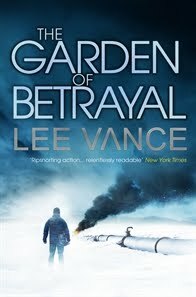 The current (Summer) issue, which came out just before I went overseas to Southeast Asia for three and a half weeks, included one thriller fiction review, with Jo Taylor herself reviewing GARDEN OF BETRAYAL by Lee Vance. Here is the full text of the review. A son who suddenly disappears into thin air shatters the family of energy analyst, Mark Wallace. Seven years later as he, wife Claire and daughter Kate are still struggling to come to terms with what happened, an explosion in a Russian oil pipeline sets off a chain of events that drag the family into a hunt for the truth about what happened to their son and brother. As an intelligent and gripping thriller, The Garden of Betrayal is successful, the book itself is an intense page-turner. But what elevates the story beyond the routine financial or political thriller are the characters, in particular each member of the Wallace family, who contribute, in their own way, to the tension that develops as the plot moves forward. Garden of Betrayal is a winning thriller, one that should definitely please fans of the genre. What do you think of the review (the books page is very constrained for space)? Are you planning on reading this book? If you already have, what to do you think of it? Thoughts and comments most welcome. Craig - Thanks for sharing this review. It adds so much to a story when an author doesn't just tell a story but also adds real character development to the plot. That doesn't always happen with thrillers, and it just makes them so much better when it does.